This is the epitome of fall comfort food. It’s a little time consuming, but oh my heavens, this is amazing. 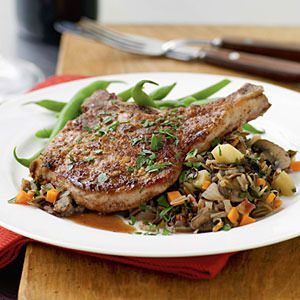 The pork chops are juicy and homey but with an elevated flavor because of the walnut crust. The rice has every flavor of fall put together in an expected but delicious combination that makes your taste buds wake up and say “wait a minute, what is this stuff?” I’ve made it several times and still can’t get enough. I recommend combining it all with a dark green vegetable like broccoli or green beans (my favorite is broccoli and cauliflower roasted in the oven with olive oil and sea salt). This soup is so rich and tastes like fall-flavored sweet potato fries. My only recommendation is to add one cup of whole milk to make it creamier, otherwise the consistency is a little pasty. This was a recipe I published last year around Thanksgiving (actually, exactly a year to date before this post is being published! ), and it remains one of my family's favorite fall sides. It's fairly easy, and adding a little dressed-up dressing to a meal of chicken makes dinner just so much better. I always forget how long cinnamon rolls take to make, so don't start these at 8 p.m. like I did. 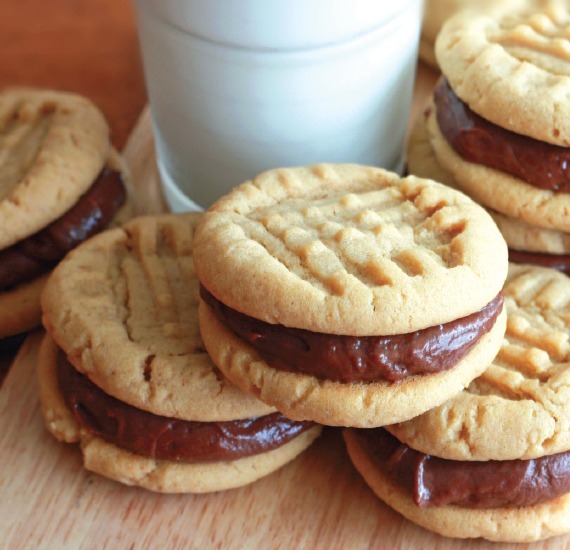 Other than the length of time, this dessert is amazing. We had to ration them in my home and everyone was policing how many rolls everyone else had eaten. They're that good.